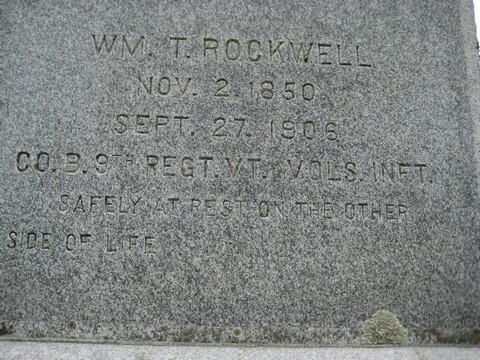 A telegram has been received announcing the death of William T. Rockwell, son of Mr. and Mrs. Anson Rockwell, of this place. 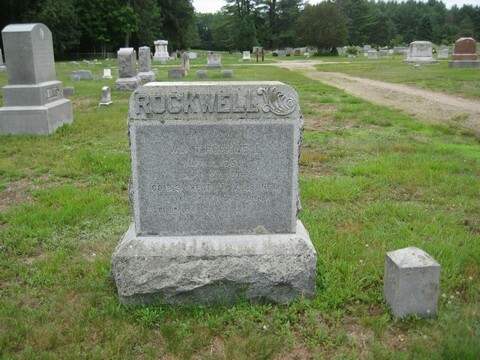 Mr. Rockwell had been in poor health for several years, and his death occurred at the Soldiers Home in Tilton, N.H.
At the breaking out of the Civil War he was attending school at Westfield, and although only fourteen years of age, walked to Hyde Park and enlisted. After his return from the war he learned the showmakers trade, becoming very proficient, and held some excellent positions. Mr. Rockwell leaves a wife, a father and mother, and ten brothers and sisters. This is the first break in the family, of which Mr. Rockwell was the oldest child.